Since around twenty years ago, the call center and the business process outsourcing (BPO) industry in the Philippines has been constantly remolding and revolutionizing office culture in the country— because of this comes the heightened demand for seat leasing in the Philippines. Just about last year, the BPO industry marked an almost 20% growth in profits flowing into the Philippine economy. By the year 2017 onwards, the industry hopes to hit an all-time high of US$30 billion revenue and more than 2 million in employment. 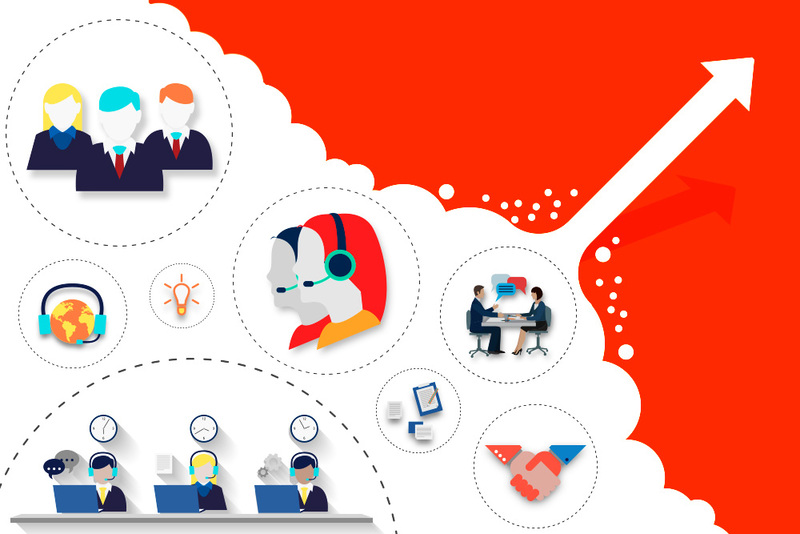 And while the industry gets most of its earnings from traditional call centers, great strides are also being made in non-voice work such as virtual assistance, e-mail support or back-end IT. This overall growth the BPO scene is enjoying by being involved in every central aspect of the industry, we can also say that these strides can have a positive effect on the work culture of the Philippines. Now, it has prompted traditional companies to change the way they view employment as well as the workplace set up. For example, while most traditional accounting firms are still earning profit, at the same time there is a boom in the demand of outsourced accounting work – and the BPOs have the workers to do the tasks needed to be done. What makes working in BPOs attractive is because they offer higher salaries, better incentives and benefits as well as the potential for career growth. Before the we reach 2020, the Philippine BPO industry is expected to earn around US$30 billion. This type of revenue could match OFW remittances, which at this moment sends in about the same amount. If the industry keeps on growing at this rate, the BPO industry will become the biggest earner for the country. With the come-back of the manufacturing industry in the Philippines, there may come a point that Filipinos won’t have to leave the country at all. If you’re a top performer, you can even fill your skin with tattoos and wear a mohawk, but of course you still have to wear something acceptable. Most BPOs are trying to make reporting to the office something a person would look forward to. Some companies have built their own recreational areas complete with video games, foosball tables, and other stress relievers. There are also a number of office spaces in the Philippines who also have gyms and sleeping areas. Why pick between work and play when you can have the best of both right in the comfort of your office? When the BPO industry came to the Philippines almost twenty years ago, there was a lack of jobs and the number of the unemployed due to the Asian Economic Crisis of the 90s was staggering. Due to those reasons the government focused heavily in exporting talent, and that’s why Filipinos working abroad are in the millions. Even kids fresh out of college earn huge income if their first job is involved with BPOs these days. Today, the millennial set look at BPOs as one of the stepping stones needed towards having a successful career.